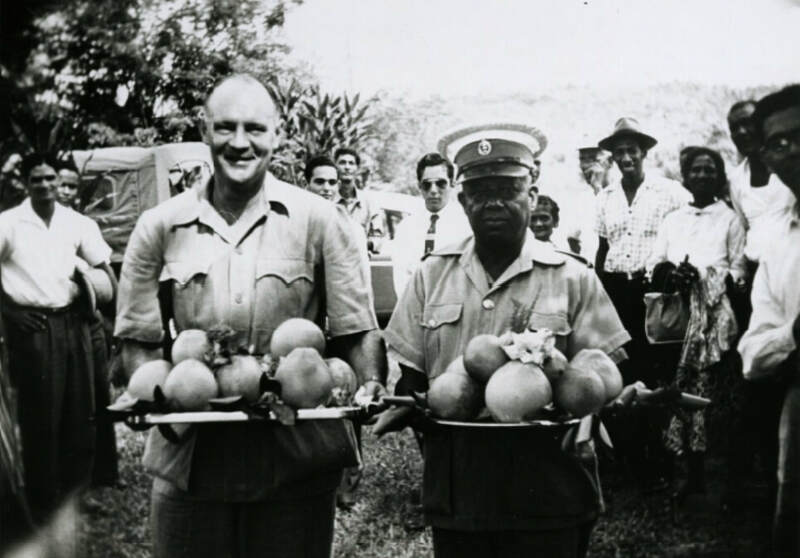 Citrus Field Day Activities 1960. 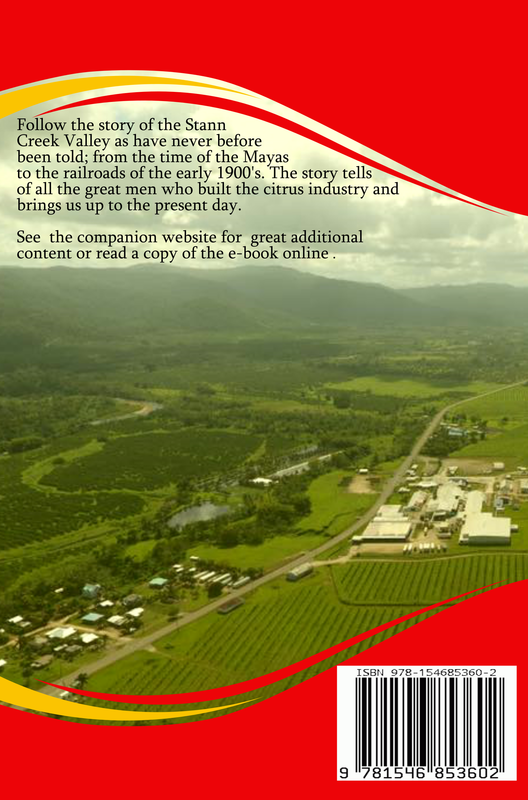 This annual affair brought together all the Citrus growers to discuss citrus. Government interest was exemplified by the participation of Governor Colin Hardwick Thornley (left). There are several events that are held at different times of the year if one wishes to experience a true taste of life in the Valley. River Fest (Benefactors Day Weekend March) - This annual event is to celebrate the wildlife on the river and also to raise awareness of the need to keep the water free of contaminants such as agricultural pesticide runoff and the citrus factory waste water. There are plans to make this into a Citrus Fest. There was an annual Citrus Festival held in Pomona annually in the past. It was attended by all the important government officials of the day. 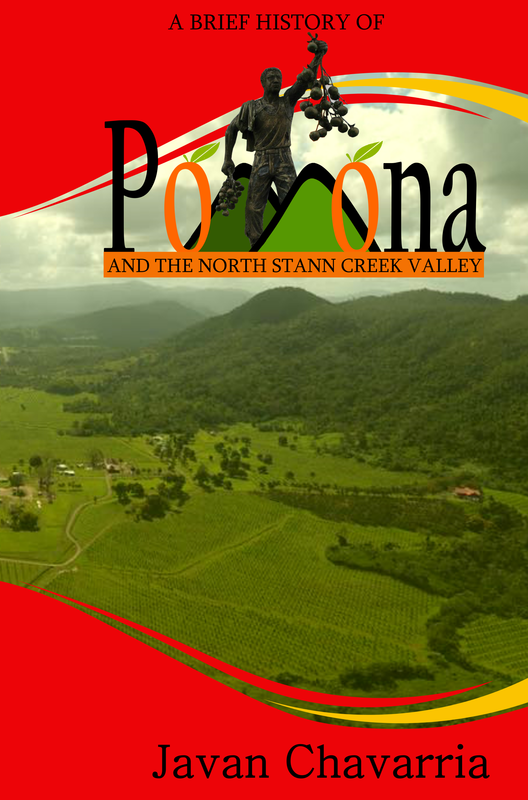 Currently the Citrus Fest is being held in Belmopan, while Pomona is the true Citrus Capital of Belize. May Fair (May) – The primary schools have annual May Fairs to fund raise finance for school activities. Plotting of the May pole, sack race, rides and lime and spoon are popular events at these local fairs. Annual Summer Football Cups (June - July) - Keeping alive the culture of football in the area, teams from different villages compete to be the local valley champion and for a year’s bragging rights. 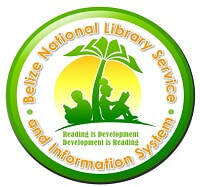 Annual Independence Eve Torch Run (September) - The torch light signifies the light of Belize’s Independence. This event starts at two points, Middlesex and the monument in Dangriga. The relay runners meet in the middle and the Independence touch is lit during a short ceremony. Various Beauty Pageants (September) - Leading up to the touch run in the area, a queen is chosen to light the torch to begin the Independence night ceremonies. This queen has the option to represent the area nationally and (since 2004) three has gone on to capture the national title of Queen of the Bay. Annual Christmas Tree Lighting Ceremony (December) - In early December the Pomona New Site Basketball court hosts a free outdoor talent show. Area residents are encouraged to perform songs, skits, dance, poetry or story telling in front of a captivated audience. This is truly an event to behold.